The only good thing about the Poseidon Studios was the beach. The personal is very nice and outgoing. The owner lady is nice as well. Location of course 10/10. We have tried Greek cuisine at many places in Georgioupolis, HOWEVER the Tavern inside the hotel served the best food in town! (Prices are lower compared to other places). Rooms are clean. Host allowed us to check in very early in the morning, so we could get some sleep... but see(*). After initial hassles they turned out to be very nice and warm people. Short walk to the beach which was OK, some days too windy and sea too rough, had to drive to other beaches. We really liked the beach and surroundings of the hotel. The city of Gergiopouli is just like a kilometer (and half maybe) away if you go by road. We liked the waves at windy days but lifeguards really liked to put on a red flag which made swimming in the sea forbidden. The food in the hotel restaurant was good, especially diners. The view from the room - but the room we had booked faced away from the sea and faced a very noisy road. We negotiated the sea view room and paid extra. The original room was unacceptable. The beach is really awesome. Very few people, nice sand, free sunbeds, lots of space, clear and warm water. Nature is beautiful and nearby there were few beach clubs and big hotels a bit far away. The beach front location is stunning. Georgioupolis beach is gorgeous. A very wide beach with lovely soft sand which goes on for miles. The sunbeds on the beach are free. There is ample free parking to the side of the property.The bar area was clean and tidy but was not open all day. Usually from around 10am til 4-5pm. I would assume this is because it was early in the season (end of April)?? One day it rained all day.The owner didn't turn up so the bar was not open for food etc. We had to go down into Georgioupolis (about 1km away)for our lunch which wasn't nice in the rain. Having said that the food we had at the property was very nice. On the beach, free ample parking space, breakfast on the beach, free sunbeds, good food. Frühstück war für griechische Verhältnisse ok. Strandlage ok. Das war es dann auch schon. One of our best sellers in Georgioupolis! Located on a beautiful sandy beach, Poseidon Studios is a guest house offering 11 air-conditioned rooms and free sun loungers with umbrella. 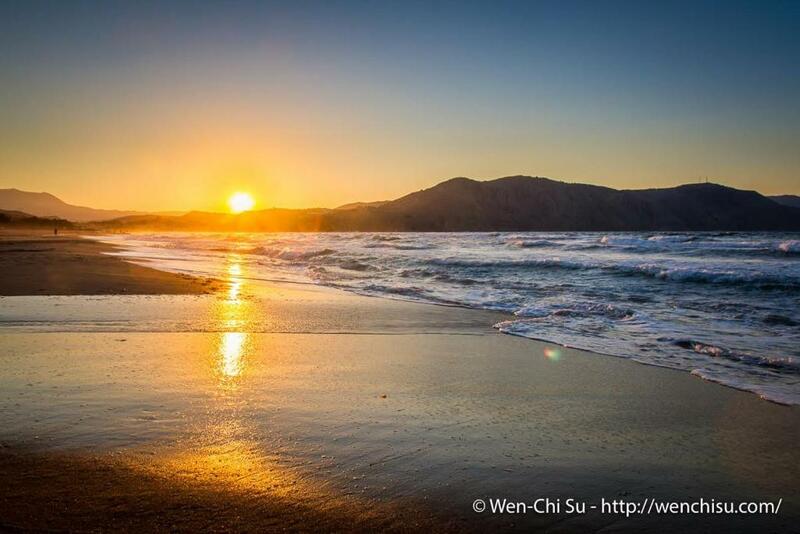 Surrounded by sea and mountains, enjoy peace and relaxation. Guests at Poseidon can choose between double and triple rooms. Each room has an private bathroom with a shower, fridge and a balcony. Guests can enjoy sea views from some of these balconies. 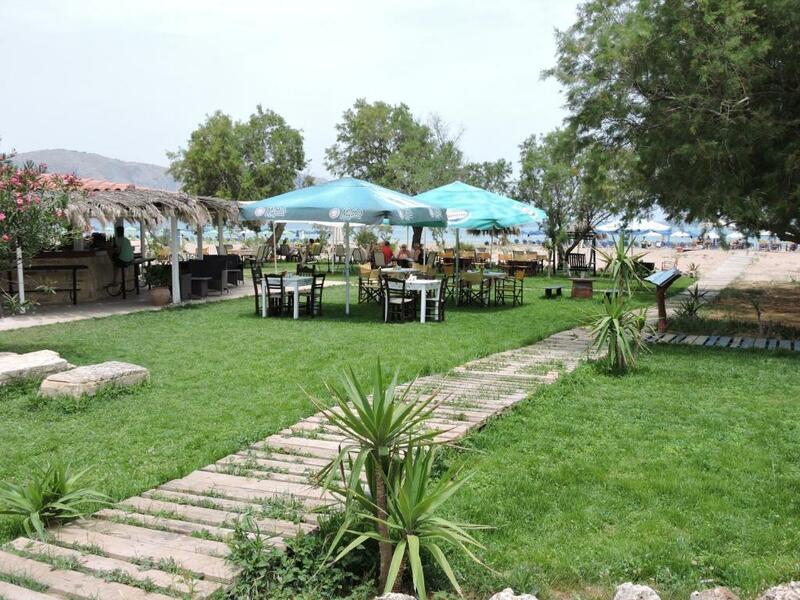 The Poseidon has its own beach taverna and bar serving snacks, light meals and drinks from morning to late at night. The property is just a short walk from the village resort of Georgioupolis with its beautiful harbor and little fishing boats. When would you like to stay at Poseidon Studios? Opening to a balcony, this air-conditioned room has a TV and mini fridge. A kitchenette is included in some rooms. Opening to a balcony with garden and mountain views, this air-conditioned room has a satellite TV and a mini fridge. House Rules Poseidon Studios takes special requests – add in the next step! One child under 16 years is charged EUR 7 per night when using existing beds. All children under 16 years are charged EUR 7 per night for extra beds. Poseidon Studios accepts these cards and reserves the right to temporarily hold an amount prior to arrival. Please inform Poseidon Studios of your expected arrival time in advance. You can use the Special Requests box when booking, or contact the property directly using the contact details in your confirmation. Shower essentials. Bring your own. Bed blanket and a pillow aren’t very comfortable. Hot water availability varied daily, no toiletries, asked for a quiet room and was given a road side one, 2-star accommodation at best, staff did not reply our email, were given a different room than what we rented for the first night. 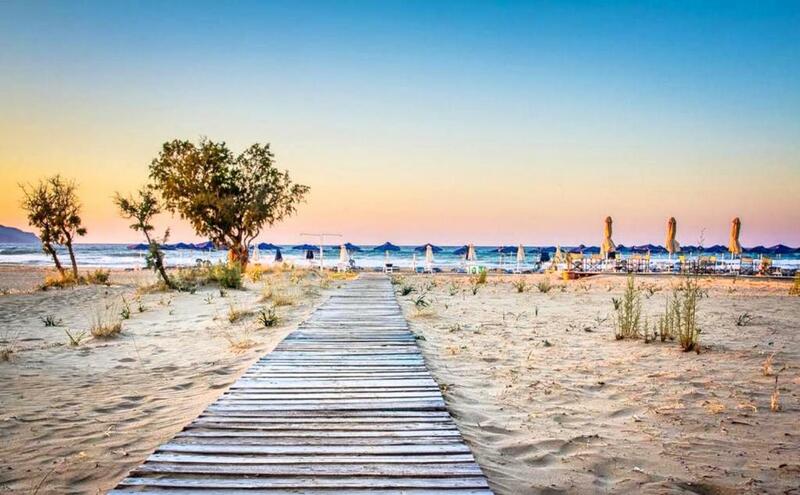 I wanted to stay in a little hotel right on the beautiful beach of Georgiopoulis, far from the big, crowded and concrete buildings of the big hotels nearby which have rooms on the beach. And my expectations for calm and tranquility and beauty of the places were fully met. Katarina and her husband Alexis are wonderful hosts, ready to help you with information on the surrounding places, road directions and other tips you might need. The hotel is small and you easily develop a sense of being in a family holiday, but if you want to be on your own no one will disturb you. What I enjoyed most is that every meal is in open air, surrounded by the shades of oleander trees. And if you want to eat down at the beach...no problem! 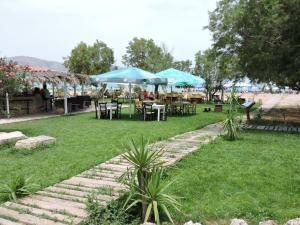 Adriano and Giannis provide an excellent beach bar and restaurant swrvice. I found the food delightful, coming in generous portions and, above all, with many Greek specialties which you do not always find in all other Georgiopoulis restaurants which try to accommodate more international taste. My room was clean and sunny, with a minibar and private bathroom and honestly it was all I needed after a day at the beach or on excursion. But again: if you ever need anything more to be arranged, Katarina is always there for you and will help you out in any way she can. Efkaristo' poli' Katarina, I will definitely return to Posidon! Kitchenettte was messing basis equipment. (*)We were given a temporary room near the kitchen which was noisy, had no kitchen facility and almost all bulbs not working. Then we were told all the other rooms were taken! I had to make a fuss so that we were given a better room which at least had kitchen facilities, like we paid for. Host grumbled that we paid too little for the room (was actually quite expensive for what we got, compared to the rest of Greece) and tried to get us to pay to upgrade to their villa up in the hills. Really not good. Room we were given was very basic, fridge barely worked, we ended up spending very little time there. We did not hire a car and had to get to the hotel by taxy, which was expensive way. It was our honeymoon and we were a bit dissapointed of bed size (which we did know before so it is our fault). Also we hoped for seaview but we did not get it - the owner offered us one the second day of our stay and it was really nice of her. We missed some chairs in our room, when we spent time in the room the only possibility where to sit was bed or balcony. Althought we enjoyed our stay. I don't recommend to choose this hotel! We (I and my daughter 4 yo) travel a lot, but that was the first time when we saw such a filthy hotel and got such a rude attitude from the staff. Usually we need two things from the hotel: a clean room and wifi. None of that was provided. The check-in time is 2PM. We came at 5PM, and our room wasn't ready yet. We were asked for half an hour, but after that the room still wasn't ready. It turned out that our room was occupied. We were given the only room left which had three small beds (instead of a single queen bed that we requested). Since our room was next to the kitchen, we've got all the unpleasant odors and loud sounds. Moreover, there was a dumping area right beneath the balcony (see attached pictures). However, the worst thing was still to come. At 9:30PM, when we were about to go to bed, someone knocked in our door. That was the hostess, and she insisted on entering the room because she needed to turn on something to make the hotel TV work. I let her in, and she started to unplug all my electronic devices. And then another man came in smoking a cigarette, and they both started doing something with the wires. I clearly said few times that the room is non-smoking, and there is a child in the room for whom smoking is harmful, but they neglected my warnings. The man left only when he found the right cable to plug in. However, the hostess decided to stay in the room, probably to ensure that we don't unplug the cable. I told her that we desperately need privacy and asked her to leave. She said that if we don't like something we are free to leave the room at any time. We were shocked with such an attitude and left the premises next morning as soon as we could. The first room we were shown was unacceptable. Also, the bathroom handle kept coming off in my hand and had to be relocated. I really cannot understand how people can spoil such a wonderful place. Really. It is small old hotel in perfect spot, it should be wonderful place to stay! But it's not. It is old dark and dirty. We were only sleeping there and traveling or swimming all days long. But still we were sleeping and washing there. Changing towels - 1 time for 10 days (when we left them in the floor actually), changing linens - 0 times for 10 days! Cleaning - every day, but I think they just using water to clean cuz toilet is still dirty after all. All the place is dirty. There were problems with electricity, conditioning, hood and so on during our stay. Restaurant - it is the only one place where we had not tasty food in the whole island. Live music once in a week - we had to run away fast in order to save our ears from that terrible sound. Well I don't want to be unthankful, we had a good time there, but I will not come back, especially with kids. I wish they take care of it a bit more... I wish! The staff were a bit hit and miss with being at the property. They would arrive at 10am and would usually be gone by 4-5pm. They locked the doors to the rear of the property when they weren't there. We had a key for the front door. The rooms (we had 2 studios)were small and had paint flaking off the walls. One of our rooms had a broken toilet cistern which was eventually replaced but then leaked. It was finally fixed on the last day of our stay. There was a lot of old garden furniture in front of one of our rooms which was an eyesore. If the property was given a face-lift and the grounds were attended to more regularly this could be a lovely little accommodation. It is 30 mins walk into Georgioupolis square from the property. The walk is flat all the way and along the old national road, so it is a quiet road, which runs parallel to the new highway.